Built for the worker who needs a quality T-Shirt that will not shrink out of shape and provides full freedom of movement. This KEY Work T-Shirt is designed with comfort and hard work in mind. The fabric is sturdy, yet soft to the touch for your comfort. It keeps you cool in the summer as well as warmer in the fall and winter. It can be worn alone or as a layering piece. This is a Perfect Fit Work T-Shirt and the pocket is beneficial for carrying small measuring tools when doing maintenance on a vehicle or any other type of job. 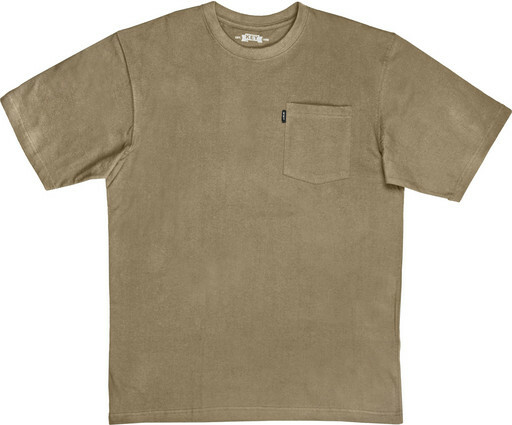 Heavyweight Short Sleeve Pocket T-Shirt 820.24 (100% Cotton) is being replaced with 822.24 (85% Cotton/15% Polyester) when supplies are gone.